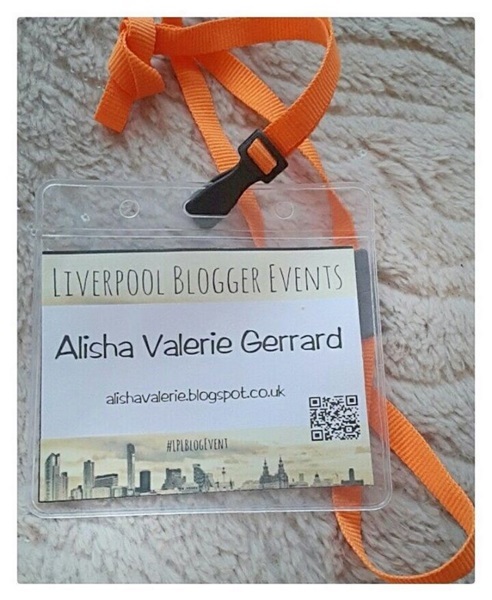 Today's blog post is going to be all about the amazing day I had on Saturday 7th November 2015 at the Liverpool Blog Event which was organised by the beautiful Jenny Dawson who's blog you can view by clicking here. As I had originally planned to go to the event in my wheelchair but I decided that I wouldn't need to as there wasn't really any steps or long distance walking as we parked outside the event. I say 'we' because Phil (my gorgeous husband) came along to the event too, as I was originally going in my wheelchair he was going to come along and push me about the event so we bought a ticket for me and one for him. 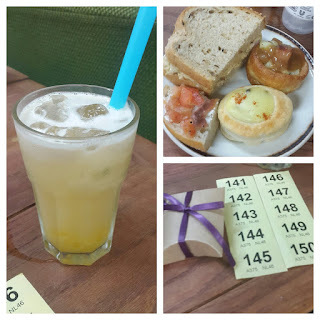 I want to say another massive thank you to the lovely Hannah who is the managing director of Fruit + Fibres Canteen & Craft Workshop where #LPLBlogEvent was held. 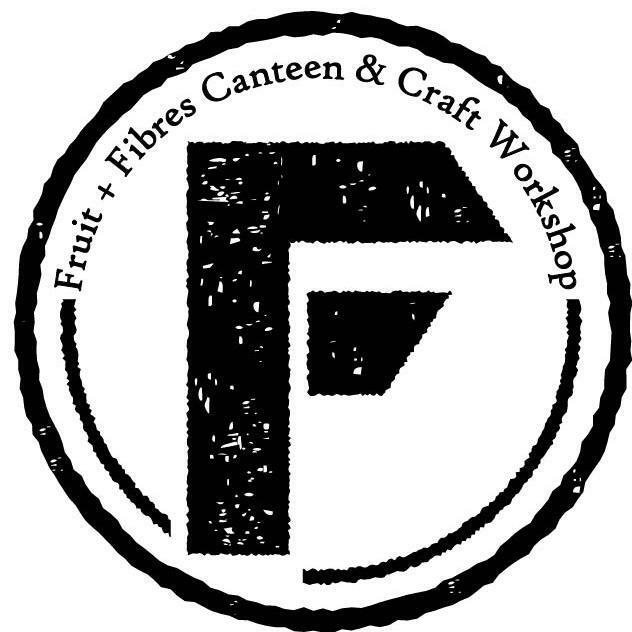 Hannah explained to all us bloggers that Fruit + Fibres Canteen & Craft Workshop hasn't been open very long (a few months) and she is really looking forward to doing more events or meetings or whatever it is people may be after options are open. 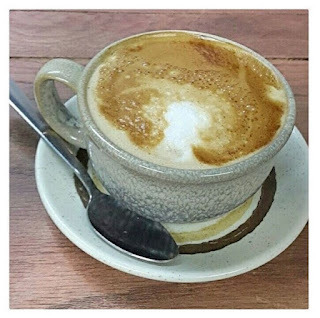 The cafe is located just off Upper-Parliament Street in Liverpool (obviously) and is such a cute little vintage like place. They have workshops on each week which really do sound awesome. I know next time I'm about Liverpool city centre I will be popping in for a coffee and cake. All the coffee at the event was donated by Neighbourhood Coffee and like everyone knows as a big coffee lover I adored the coffee I had. 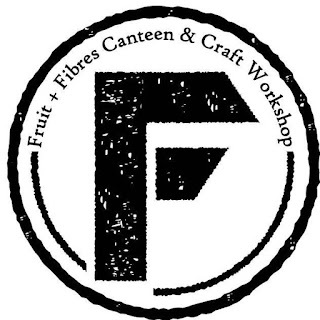 Fruit + Fibre Canteen & Craft Workshop also have a big open planned room (would fit about 80-100 people) and a smaller room which has hosted dinner parties, photography settings and smaller evening events - think a medium sized cosy cottage dining room. The 'dining room' was where our buffet was held which I want to thank Anthony at Posh-Nosh for as the food really was so tasty. They had a meat, fish and vegetarian nibbles from yorkies filling with mash, sausage and gravy to chicken curry sandwiches. Also I've heard that without The Bagelry their would have been no salmon and cream cheese bagels and would have simply been salmon and cream cheese so thank you to them as they were very yummy! Button's Bakehouse also supplied some amazing cakes which everyone enjoyed. I was very good and didn't have any because of my Slimming World diet, I stayed strong! 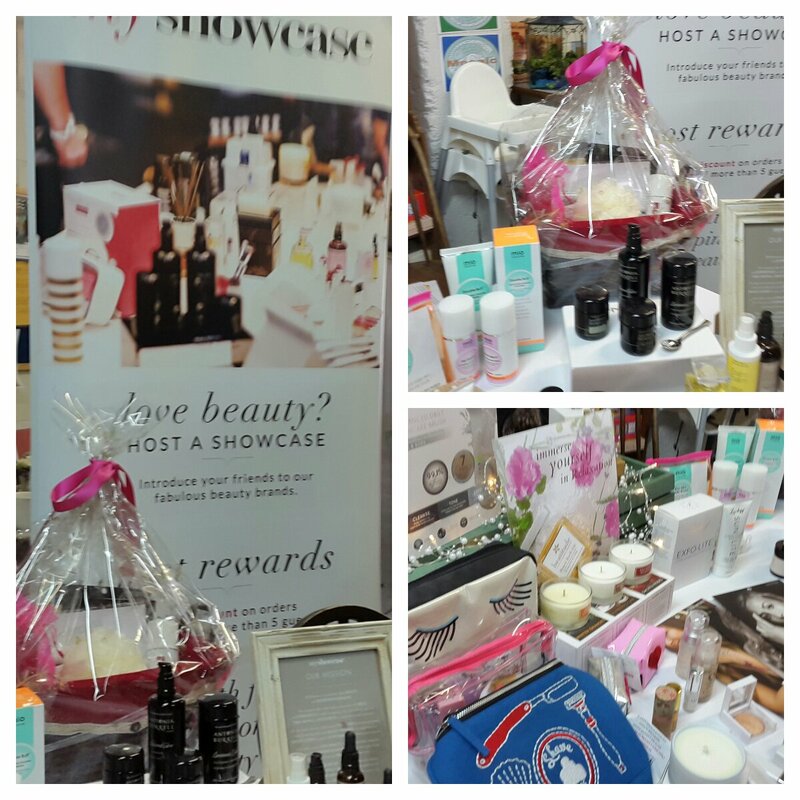 Andra is a Independent Stylist for My ShowCase showed us all of her beauty bits and bobs which are all lovely. As I got there early I was able to chat with Andra and she was telling me how nervous she was but she honestly done an incredible speech and although you could tell she was nervous a little, she really did do perfectly. I personally couldn't stand up and talk in front of a big group of people I don't know so I have so much respect for her for doing that. Andra explained to us all about My ShowCase and how they are a fresh and contemporary way of discovering independent beauty brands with friends at home or online. Each of their 40-odd brands have been carefully selected and curated by our co-founder and Telegraph Magazine Beauty Editor, Kate Shapland. Behind these brands they find entrepreneurs whose inspiration, passion and experience can be seen and felt through their brand and story. 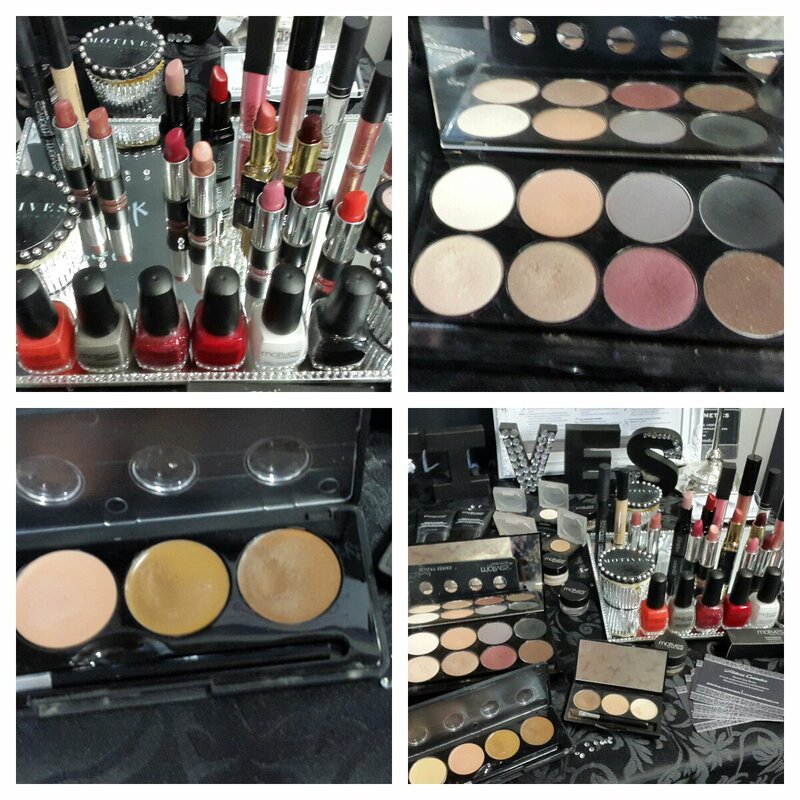 My ShowCase's vision is to enable every woman to make beauty her business; to support women by helping them start beauty businesses tailored to their lifestyle; to provide their customers with a personal and professional social shopping experience and access to brands that they may not have discovered yet; and to build a playform for independent beauty brands to sell their products through their network of passionate and experienced stylists. If you haven't checked them out already then I highly suggest that you do so. One of my favourite items I found is the Emma Lomax Gold Heart SOS Kit which is priced at £24.00 and contains 14 mini amenities including anti-bacterial wipe, plaster, tweezers, safety pin, hairbrush, mirror, tampon. Although it was my first time hearing about , I had actually heard of Emma Lomax before. If you don't know her already is she is a London brand creator who designs and makes hand embroidered bags and accessories. Having began aged only 5, she developed her skills at the Royal School of Needlework in Hampton Court Palace, learning from the same seamstresses who's embroidery featured on the wedding dress of Kate Middleton. Tiffany, who also goes by the name Twig, is someone else who was there early like me and Andra. The three of us sat and had a mini gossip and shared our stories before everyone else turned up which was so lovely. 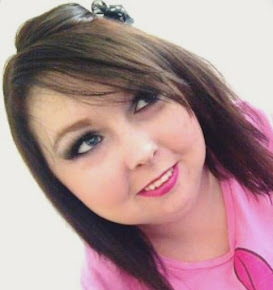 I also got to find out that Twig has her own blog where she write about false prophets which I really found interesting. Twig wasn't actually there as a blogger but just like Andra as another stylist for Stella & Dot. 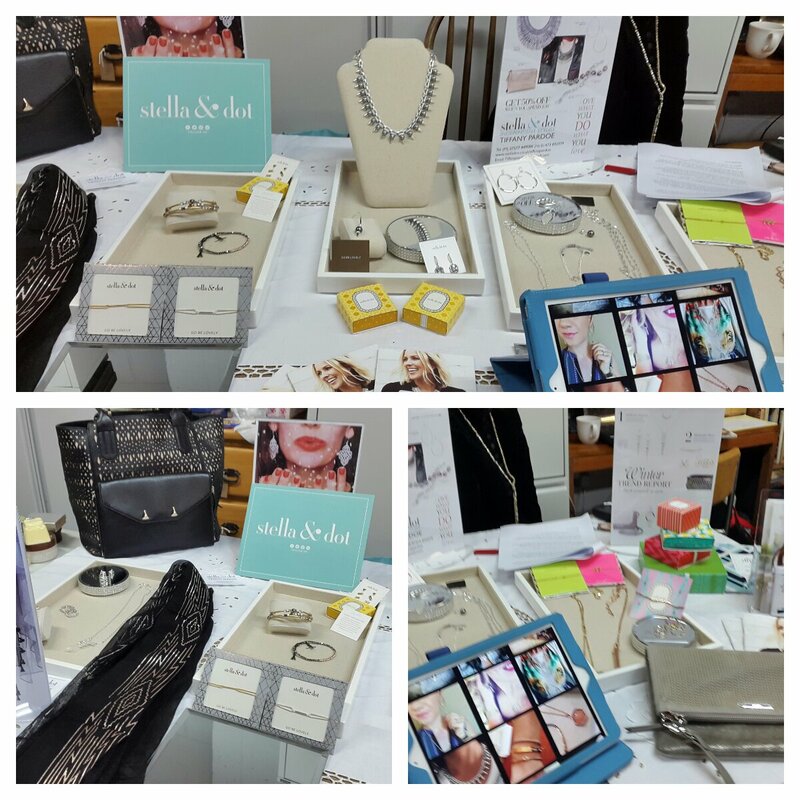 If you haven't heard of Stella & Dot already, they are a 500 Fastest-Growing Company, based in San Francisco, Stella & Dot are a social selling company that creates flexible entrepreneurial opportunities for women. 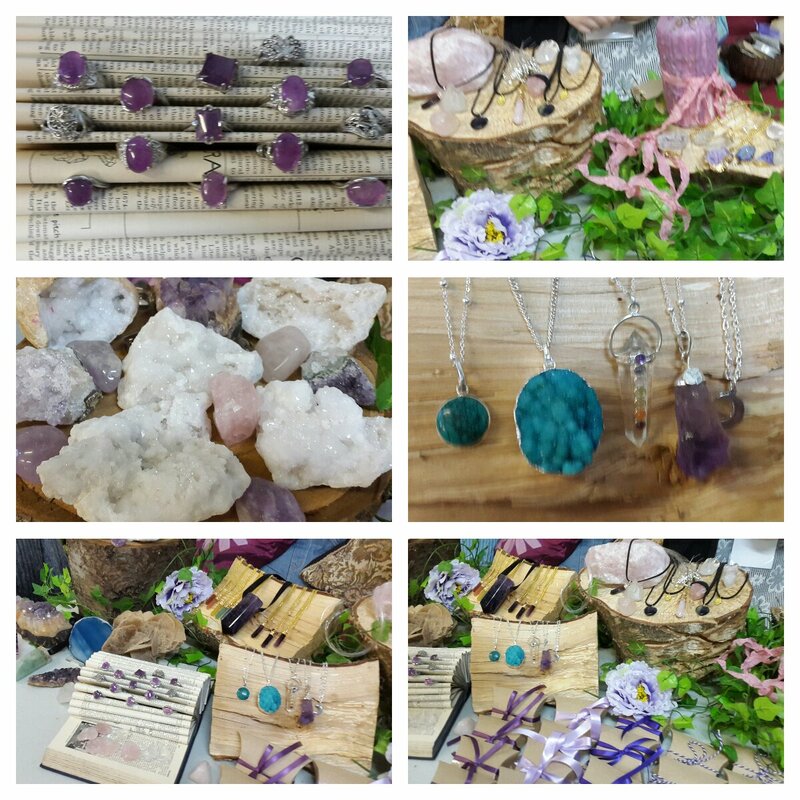 Their boutique-style jewellery and accessories line that is available exclusively through in-home Trunk Shows by Independent Stylists and online. Their one-of-a-kind collections are designed by celebrated New York designers and featured in the likes of Gossip Girl, In Style and Lucky Magazine as well as on the wrists and necklines of today's hottest celebrities like Cameron Diaz and both Princess Beatrice and Princess Eugenie. The Today Show, Wall Street Journal and The New York Times have praised Stella & Dot for their innovative social shopping concept which brings together the best of ecommerce, social media, personal service and passionate earning to create the ultimate home based business for today's modern woman. Some of their pieces are so beautiful and affordable. Warning when you go on their website, you will want everything! Taking Shape were next up, they are a one-stop-store for women's plus size fashion available in Sizes 14 to 26. I had not heard of this brand before, but now I have done and I've seen their clothing range - I want all of the clothes as they have such individual pieces! Taking Shape are a Australian brand with colour, bold prices and something that I really love about Taking Shape is that unlike most high street brands they support women with body confidence with curvy figures. 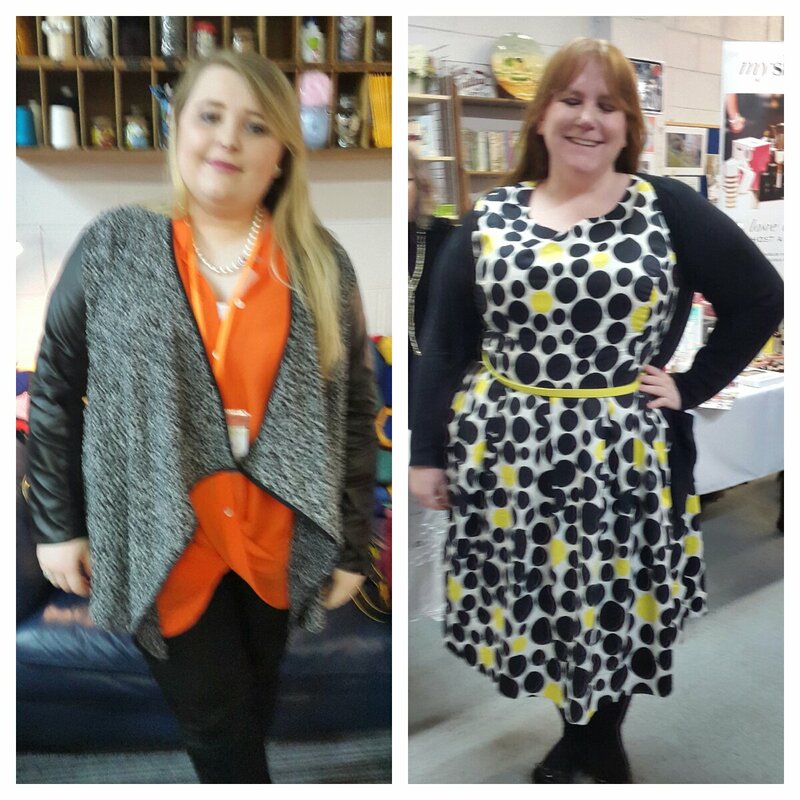 After seeing two bloggers in Taking Shape's clothes on the day, you can really see that they really are made to last! Taking Shape also have a twitter account that you can follow or check out by clicking here. 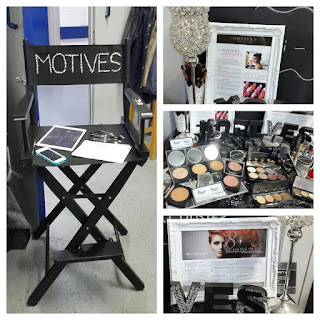 Motives Cosmetics were up next and was hosted by the beautiful Hannah. 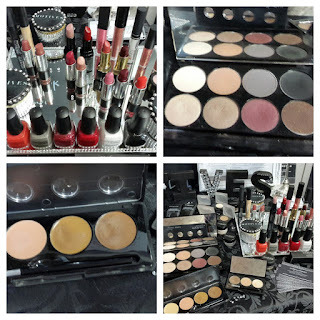 Hannah explained that Motives Cosmetics started in 2008 and were marketed first in America, but have now gone world wide! Motives Cosmetics are a make up based brand who have featured in industry-leading publications such as InStyle and Vogue. After sampling a couple of their products and seeing how pigmented they really are I know I'm doing to be spending so much money on their website soon! Lush Lush Lush. The word is just beautiful. Everyone knows Lush Cosmetics but how many of you actually know that Lush Cosmetics do spa treatments in their stores - including their Liverpool store. A Lush Spa Treatment is a sensory journey, personalised to you, to ease your body and lift your spirits. 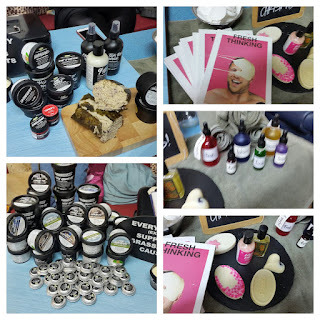 Megan who is Lush's PR Manager hosted talk and skincare pamper to the lucky blogger Samantha passing around some of the amazing Lush products for all of us bloggers to smell and sample on the back of our hands. Lush also gave us a free goodie bag with a full sized product and two sample pots. Who doesn't love free Lush products? Along with Megan, their was a guy too (I am so sorry that I can't remember his name! ), who was telling us all that all of the money raised on the day was going to a local Liverpool charity called The Choir with No Name. The Choir with No Name were founded in January 2014. They rehearse every Wednesday evening at 7pm in the Bluecoat, on School Lane, in the city centre of Liverpool so if you are free and about one Wednesday evening why not pop along and check them out? Their choir rehearsals are led by our wonderful choir director, Meike Holzmann. There was also a charity donation table at the event were you could put anything that you didn't want or need and was priced at whatever you thought it should be. I personally picked up a St. Ives facial scrub and an eye shadow palette donating £10 for them. Jenny rained over £100 for The Choir with No Name which is so amazing! 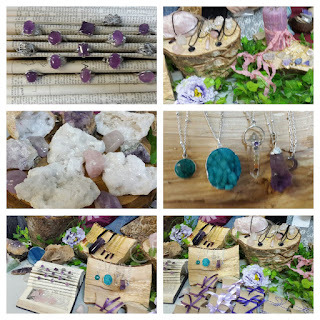 Noctua jewellery workshop was my favourite part of the day for me! Brittany, who also has an instagram account which you can view by clicking here, is such a lovely kind sweetheart. I got to chat to her a small bit when she came over to our table to help us out with our bracelet ends once we completed making them; she really is a doll. Brittany opened her store Noctua at the age of 15 years old and now 19 years old she has really made a business and name for herself. She asked us all to pick out a colour to make our bracelets with so as a lover of pink, I picked Rose Quartz which I then found out means: self love, kindness, caring, friendship and romantic love. The Rose Quartz used was sourced from Brazil. Although making the bracelet was calming, yet hard work, to make I can understand why Brittany loves her job so much. 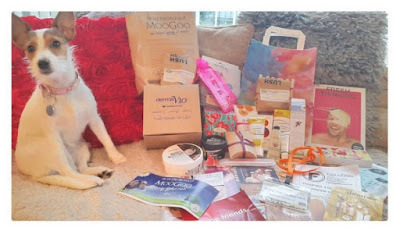 I'm going to be doing a separate blog post on what we received in our free high quality gift bag, which really is an exciting as I'm making it sound. Here is a little mini preview and my beautiful Daisy baby decided to crash my photo but doesn't she look adorable? I met some wonderful people at the event and a massive 'hello and thank you for being beautiful wonderful ladies' to my three new amazing now-friends who were sat at the same table as me: Samantha, Alicone and Stephanie. The only two regrets I have from the day are that I didn't take enough pictures with other bloggers and that I wore a jumper as I was so warm all day! 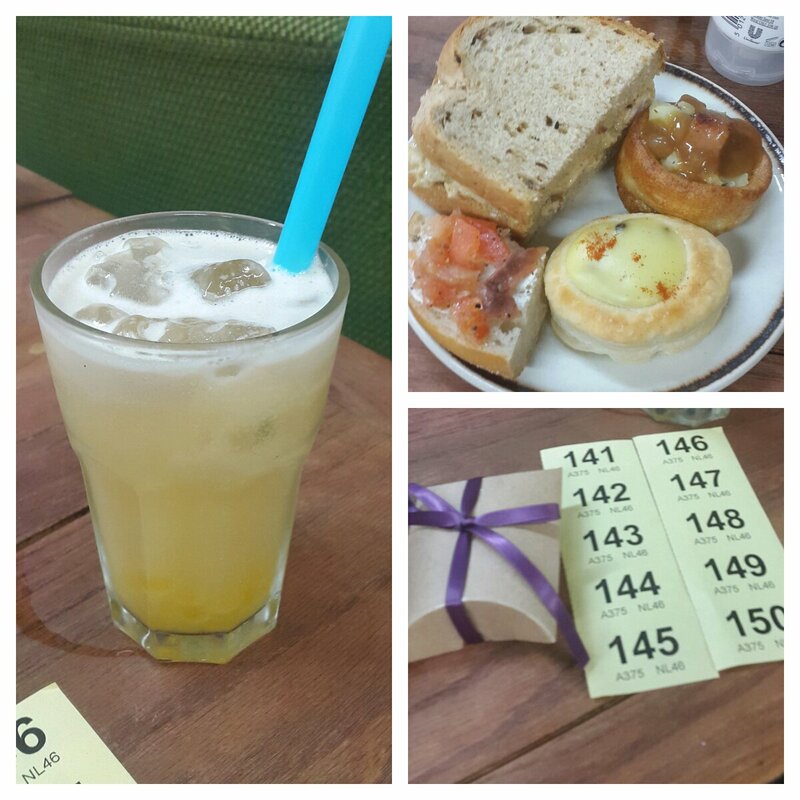 If you went to the event let me now below with your details so I can follow you etc. I hope everyone's had a wonderful weekend! It was a great day and I'm sorry I didn't get to chat to you as I was such a traitor and defected to another table! ** IMPORTANT NOTE: I'm not going to be doing a blog post of what I received in my gift bag from the event as I'm going to reviewing each product each in the new year instead.